CPR LifeLinks is a national initiative to help EMS and 911 save more lives through the implementation of high-performance and telecommunicator CPR programs. Numerous resources, including a how-to guide for agencies, have been developed to improve cardiac arrest survival rates. According to the American Heart Association, only 46% of the 250,000 people who experience out-of-hospital cardiac arrest in the U.S. each year get immediate help before a professional arrives. In response to a recommendation by the National Academies, NHTSA brought together EMS and 911 stakeholders to create a comprehensive CPR program implementation toolkit for every EMS and 911 agency in the country. Numerous resources are available for the EMS community to learn about the impact of early CPR, become champions of implementing high-performance CPR programs and begin educating their colleagues today. 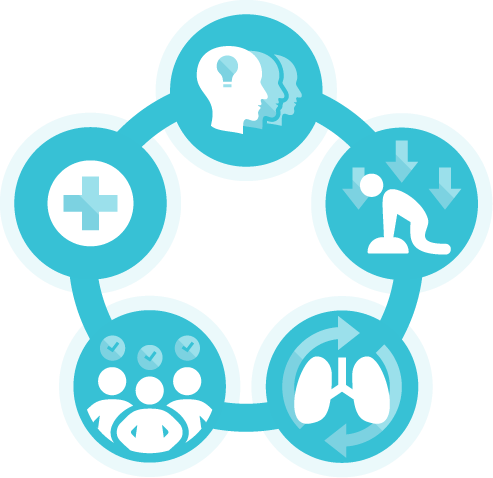 A suite of materials is available on the CPR LifeLinks microsite, including: a staff training PowerPoint presentation, a webinar featuring an EMS and 911 agency and their success story, downloadable case studies and an animated video explaining what the Implementation Toolkit is and how to use it. The Implementation Toolkit is a holistic resource for both EMS and 911 agencies as they embark on implementing high-performance and telecommunicator CPR programs. In it, you’ll find: what challenges to expect and how to overcome them, performance recommendations, staff training guidance and more. 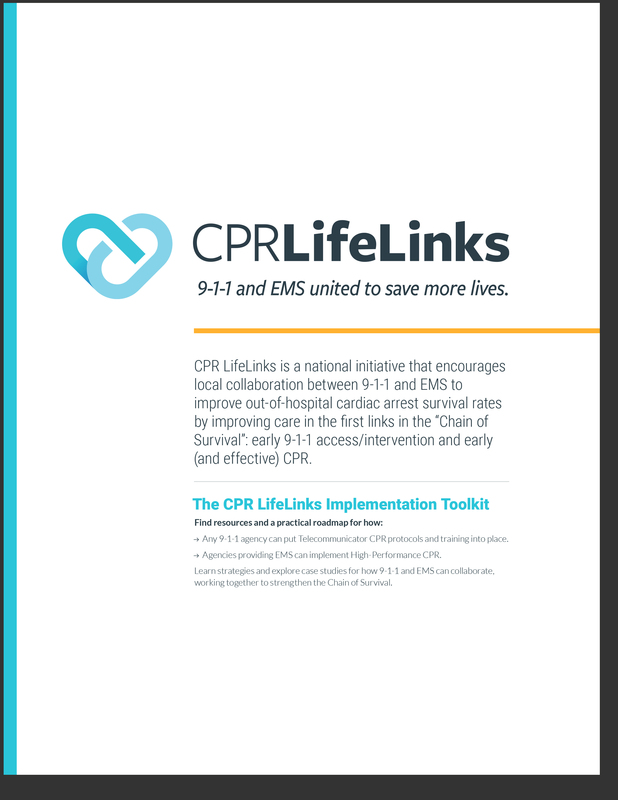 The NHTSA Office of EMS and National 911 Program convened a group of 20 public safety leaders to create the CPR LifeLinks Implementation Toolkit.